Spano’s IGA also supports our community through our Community Rewards Program. 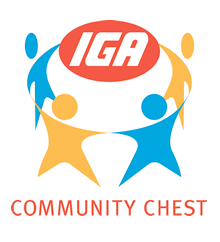 Members of our My IGA Card Rewards Program may choose to donate all, or a percentage of points they earn while shopping with us to a local community group the store supports. These points will then be converted to cash and donated to the organisation every 12 months.